This vegan recipe is incredibly simple with only 5 ingredients. These can be made sweet by omitting the herbs and adding some sweet toppings. 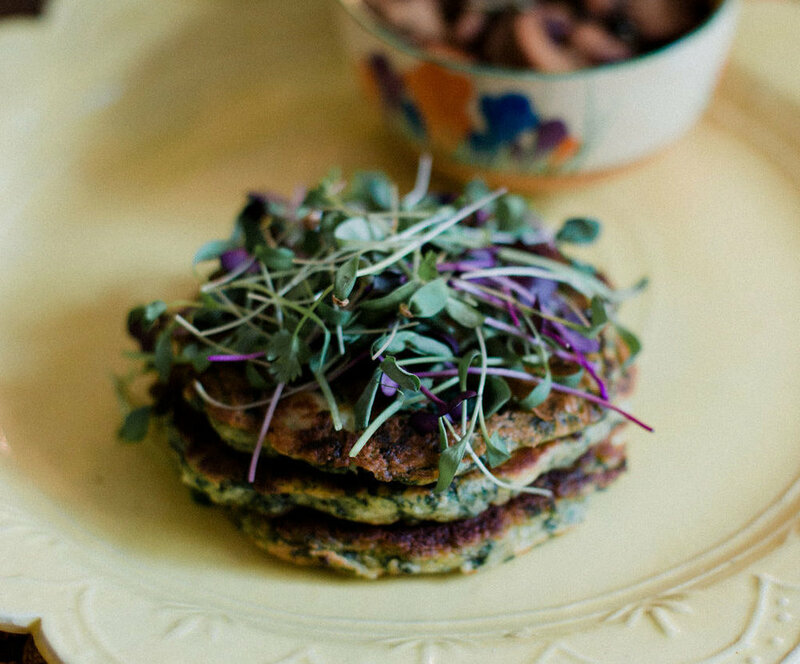 My family and I often make these at home as the chickpea flour make them a great gluten free alternative to normal pancakes, breads and flat breads. Weigh out all of the ingredients apart from the herbs and put them into a big bowl. Now add 260ml of water, mixing until you have a smooth batter. Add the chopped herbs and mix well again. Heat a skillet over a medium heat and add a little oil or butter. Add a ladle of the batter to the pan. Cook for a few minutes until bubbles start to appear on the surface and then flip to cook on the other side for a few minutes. Now serve with whichever toppings you wish! Ours are pictured here with some sauteed mushrooms. These can also be made ahead of time and reheated in a pan or the oven.